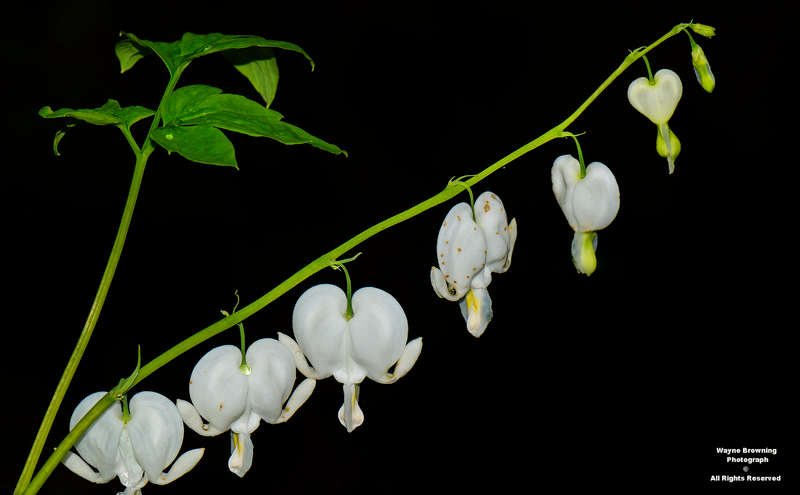 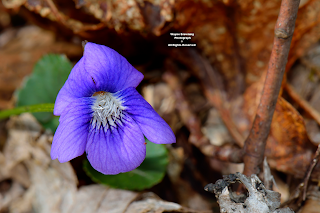 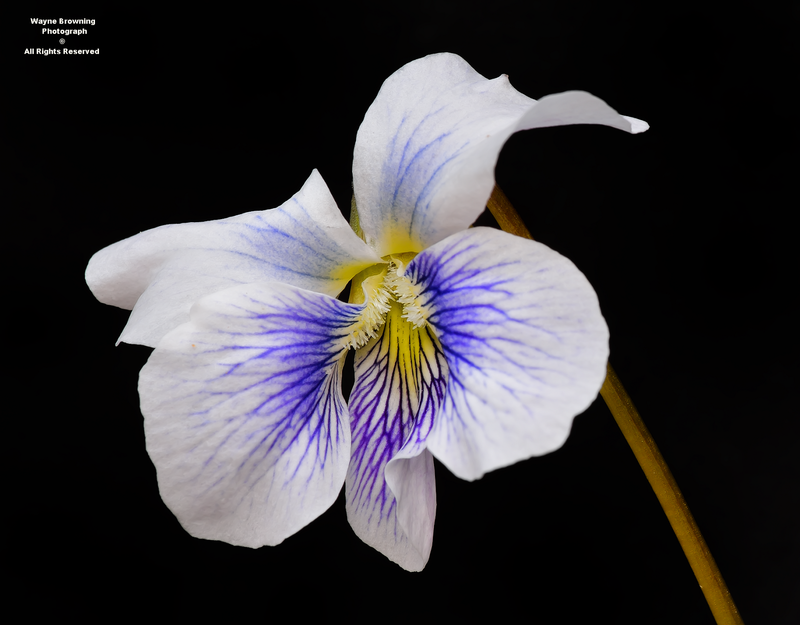 As of mid-April the upper elevations of the High Knob Massif are full of Halberd-leaved Violets, many in bloom. is heavily coated with adelgids as of mid-April. 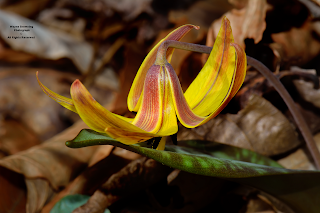 It appears that mid-April is also seeing the peak of Yellow Trout Lily bloom in upper elevations of the High Knob Massif. 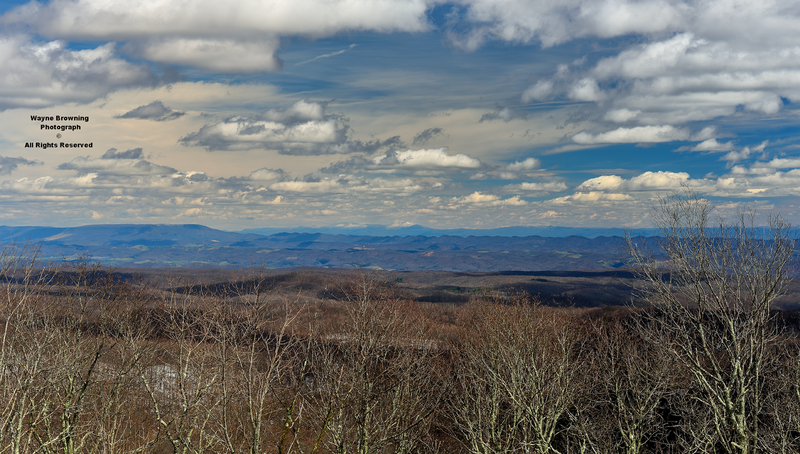 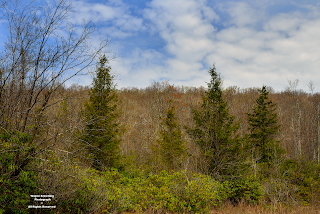 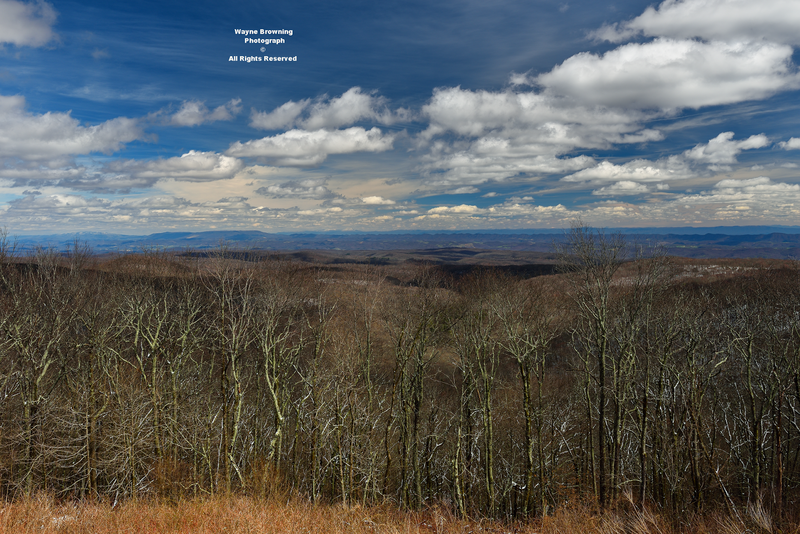 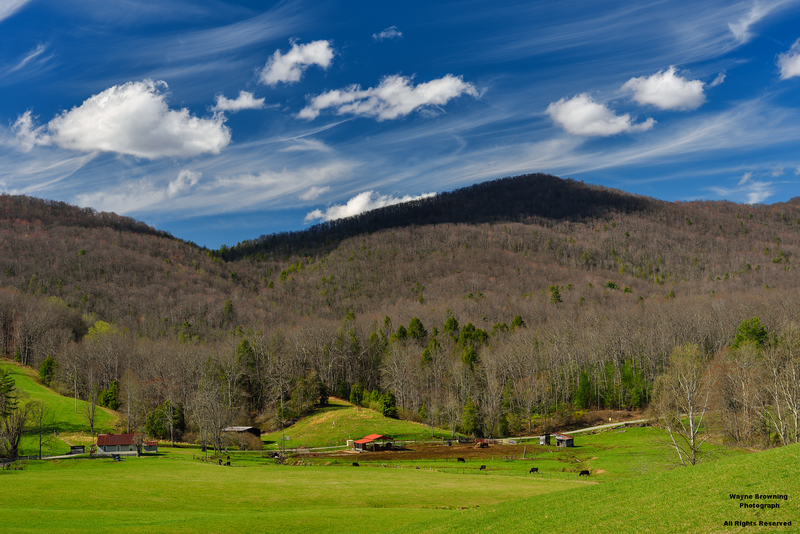 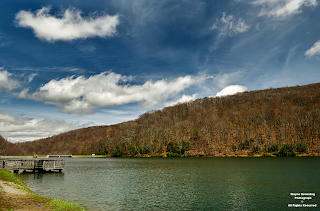 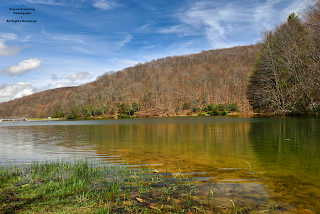 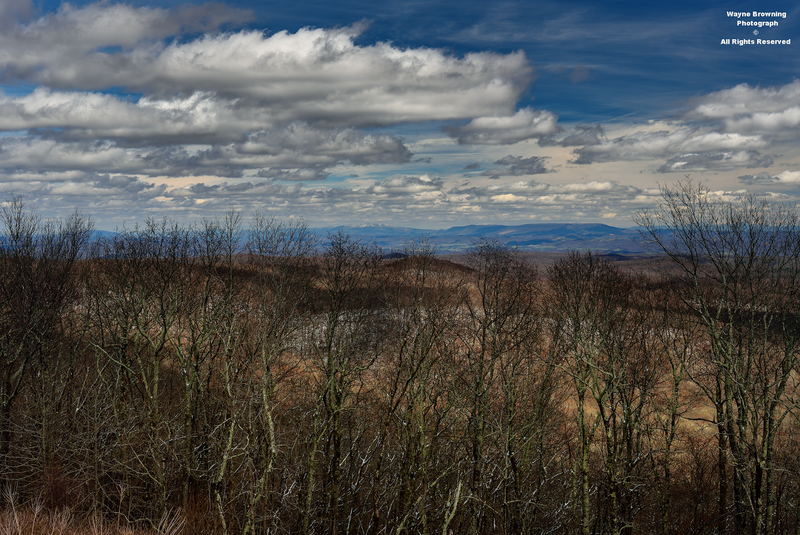 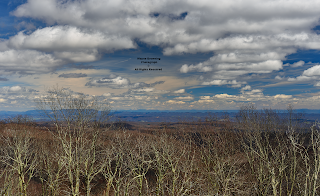 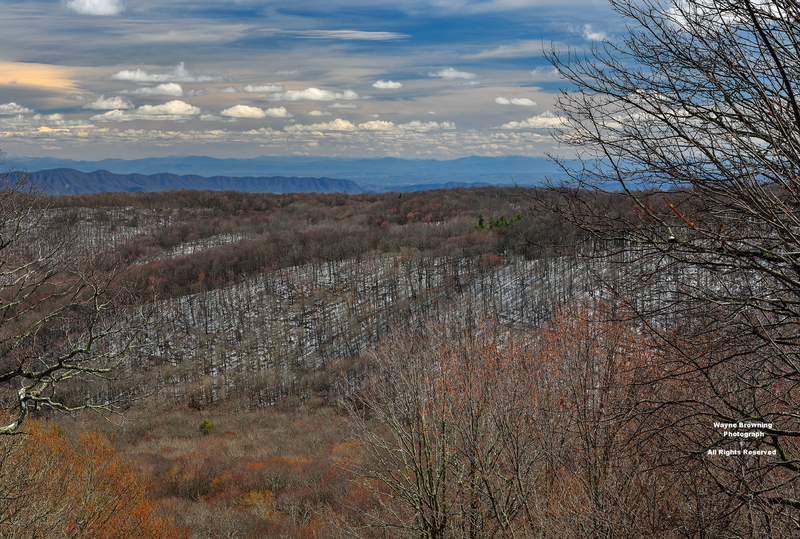 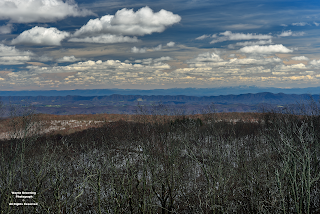 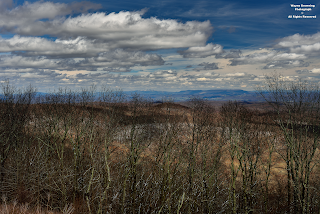 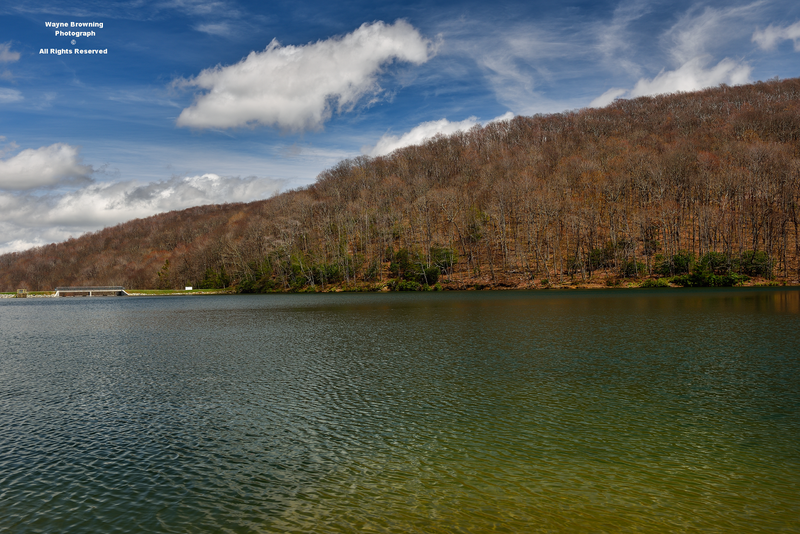 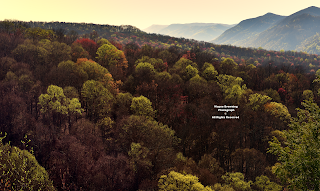 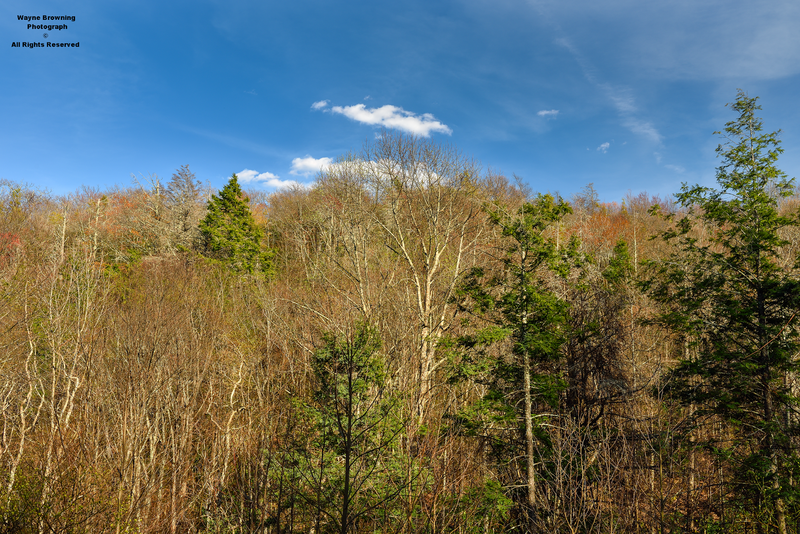 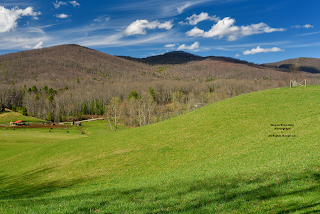 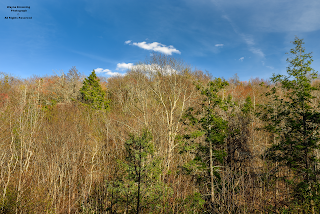 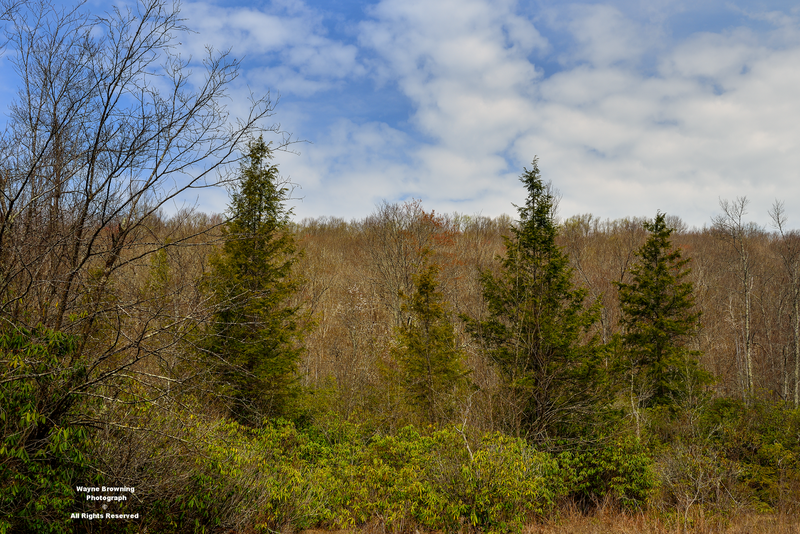 An array of budding maples in the Central Appalachian Northern Hardwoods of the High Knob Massif combined with mountain wave clouds, and other forms, to generate gorgeous conditions during afternoon hours of April 7. 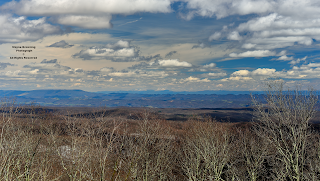 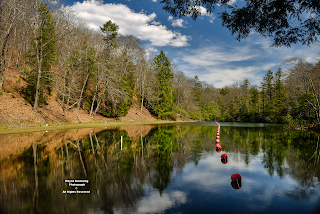 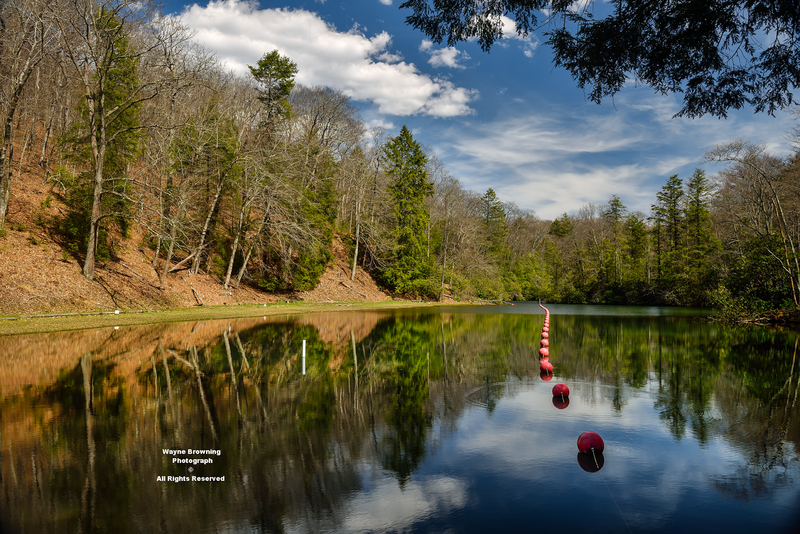 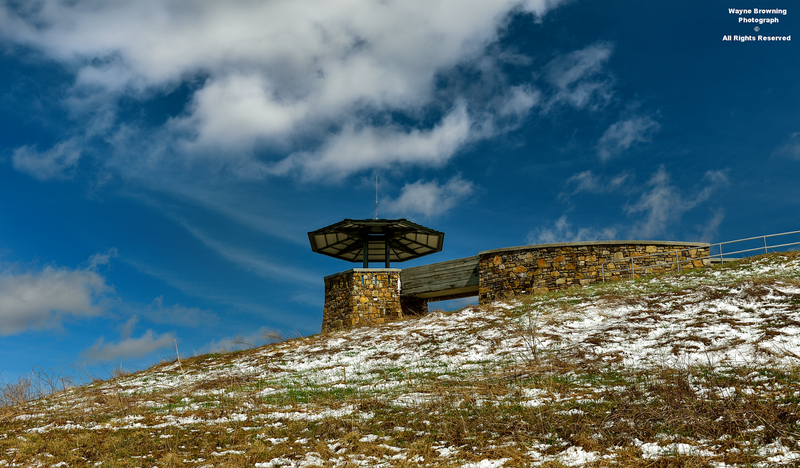 A late season fall of wind driven heavy snow coated the high country during afternoon hours of April 6 into morning hours of April 7, with accumulations being generally restricted to elevations above 3000 feet in the High Knob Massif. 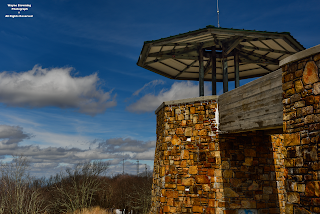 driven by wind gusts of 50-60+ miles per hour. 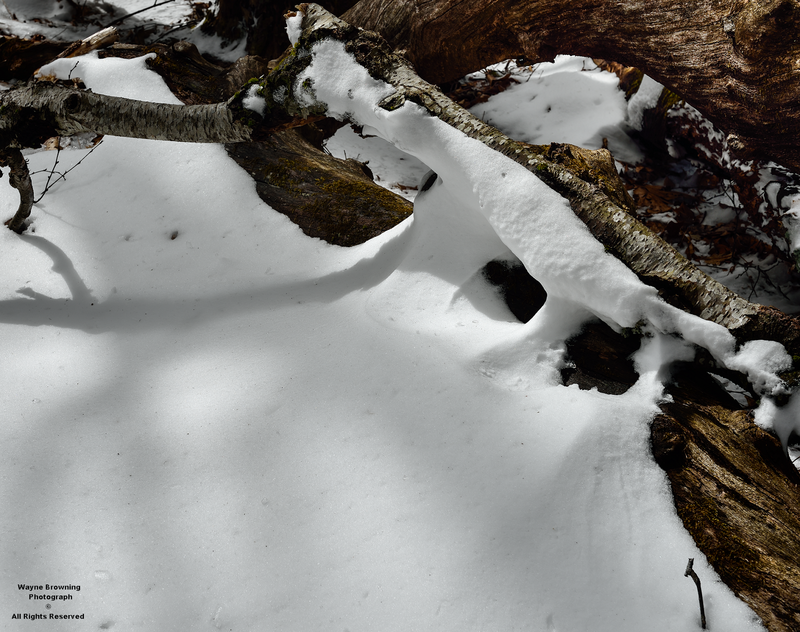 took these photographs, the evidence for high winds blasting snow onto the windward sides of trees was still evident during mid-late afternoon. 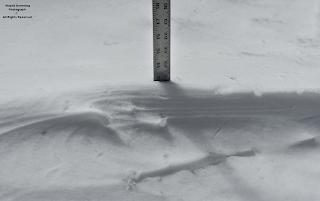 While snow drifts were deep in places, other slopes were swept by the strong winds with limited snow accumulations. 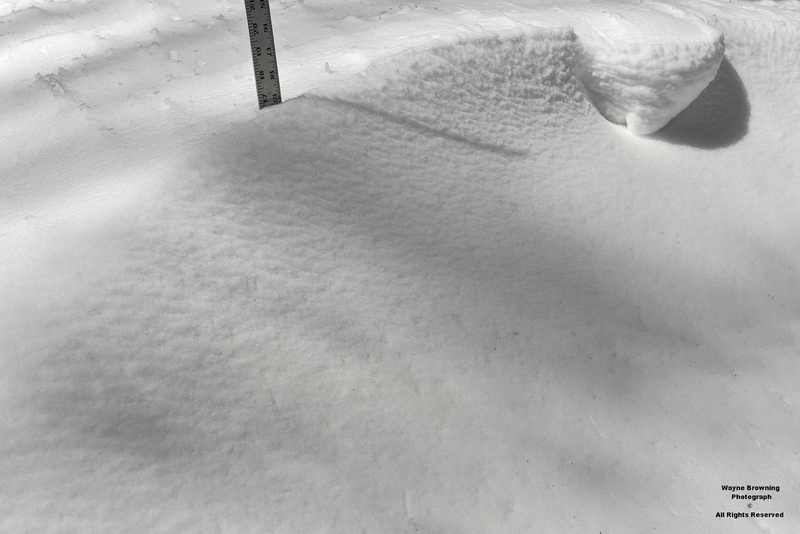 Snow accumulated from Flag Rock Recreation Area and the Norton Reservoirs, upward in elevation, with no snow below this level. 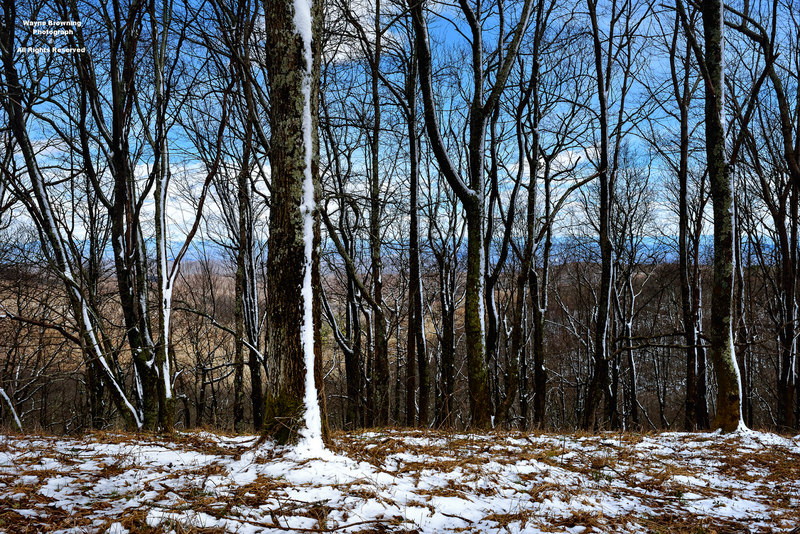 By afternoon most of the snow had already melted below 3500 feet. 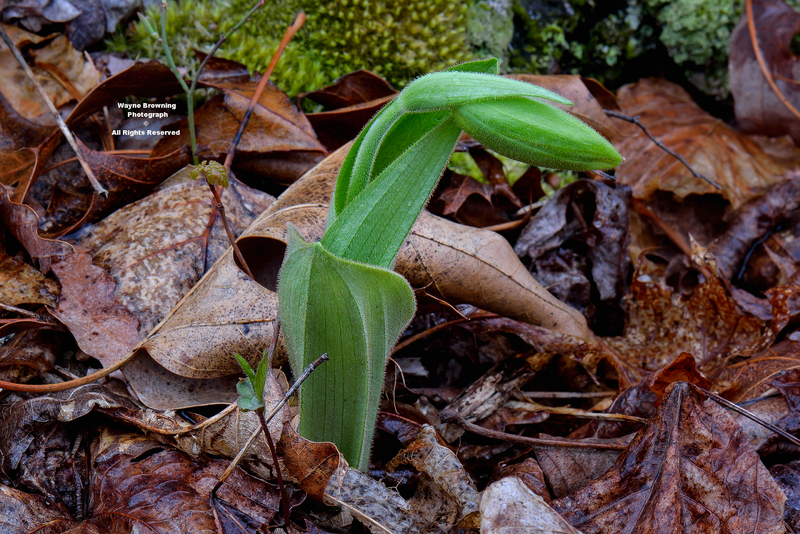 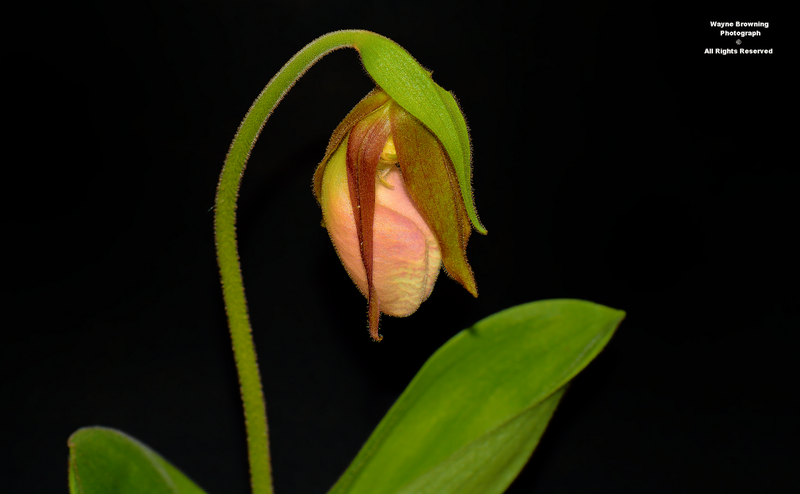 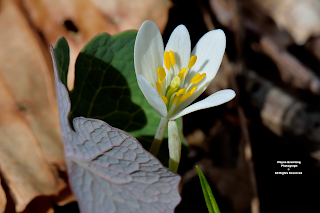 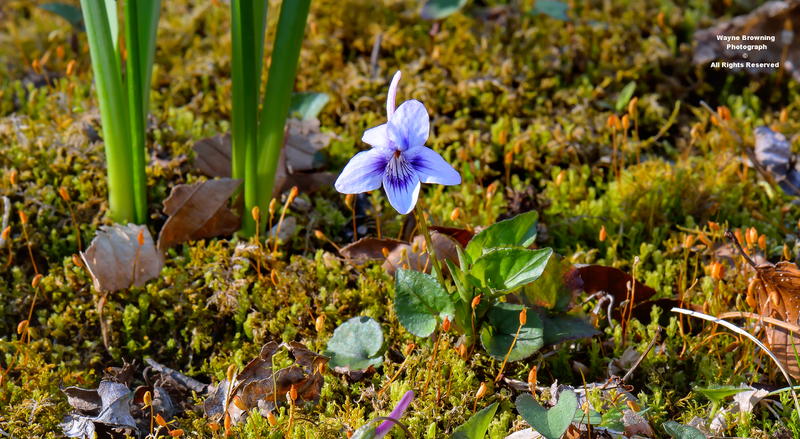 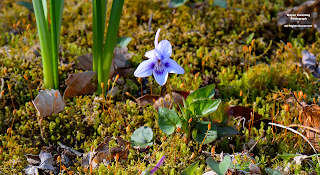 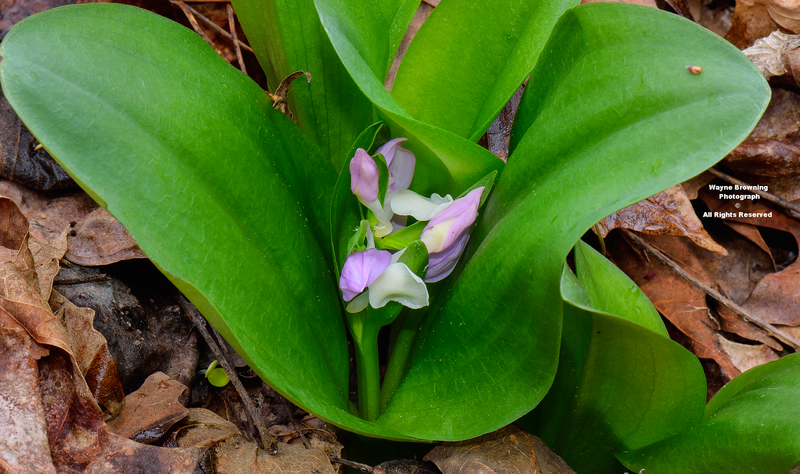 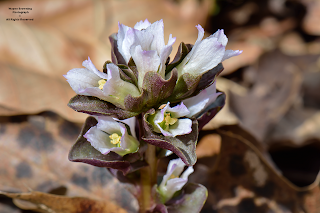 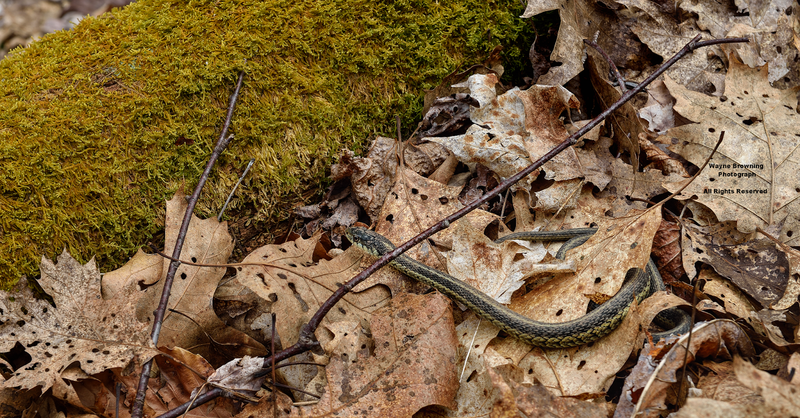 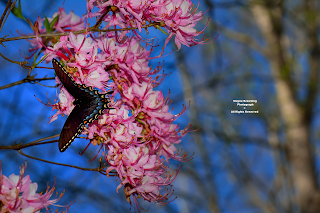 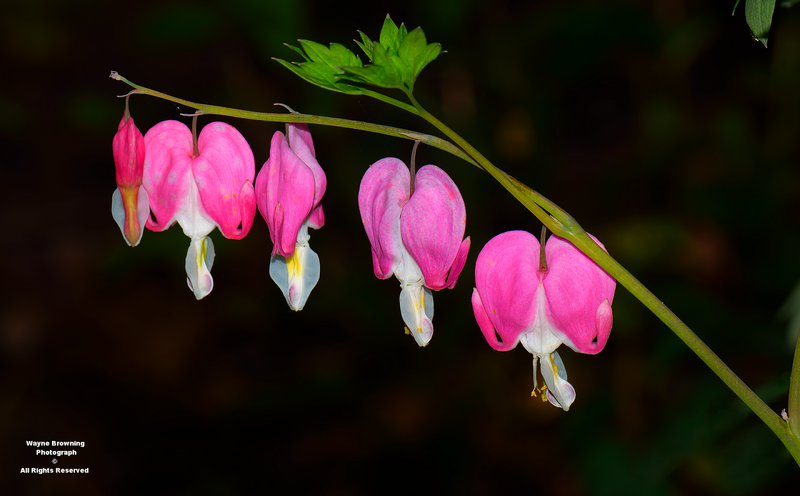 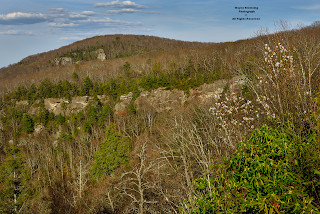 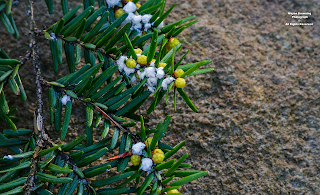 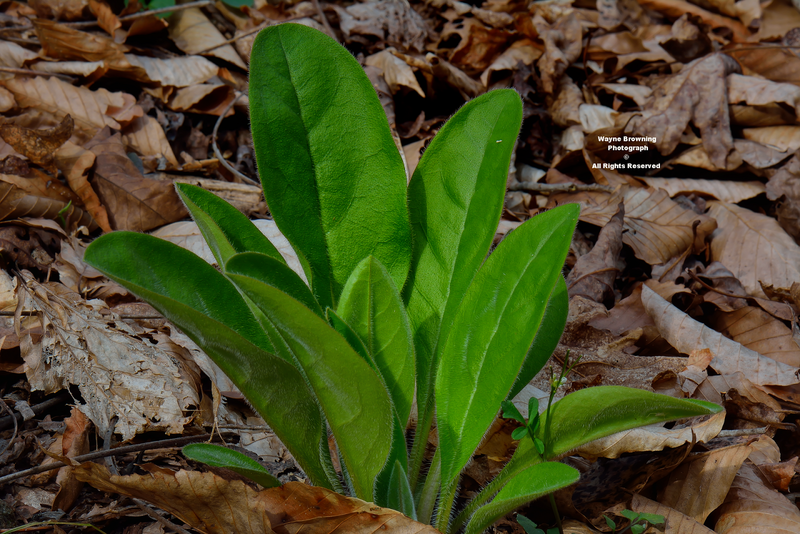 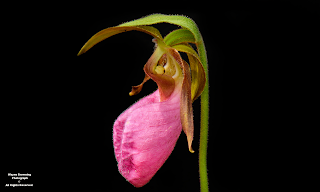 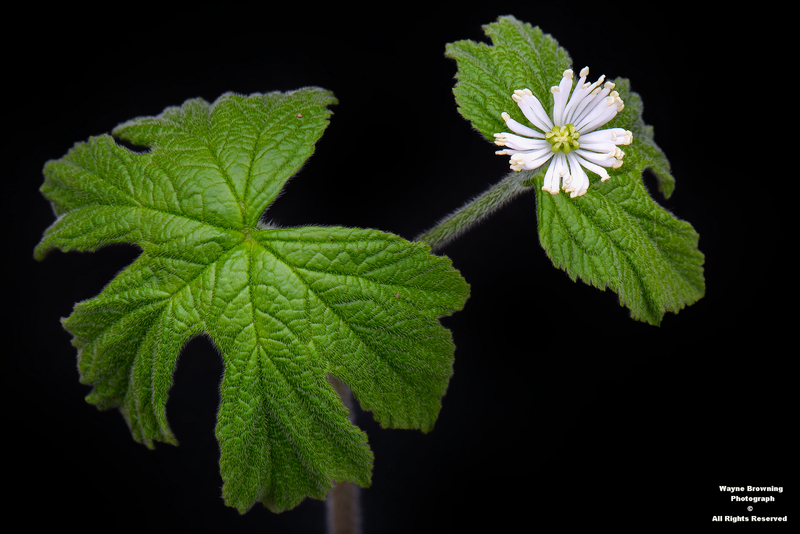 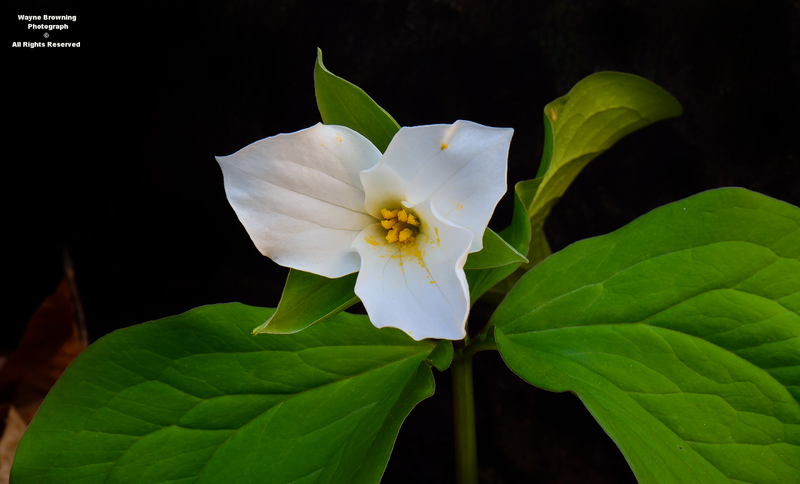 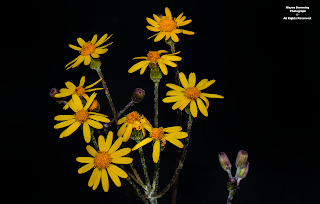 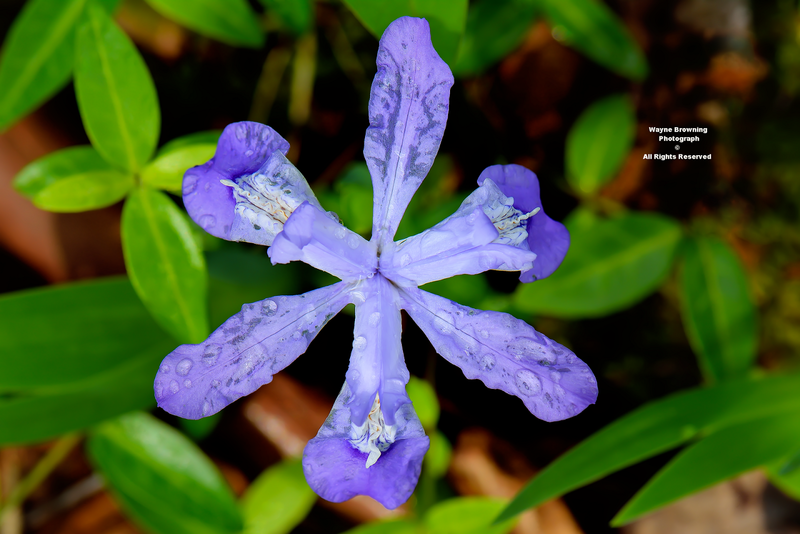 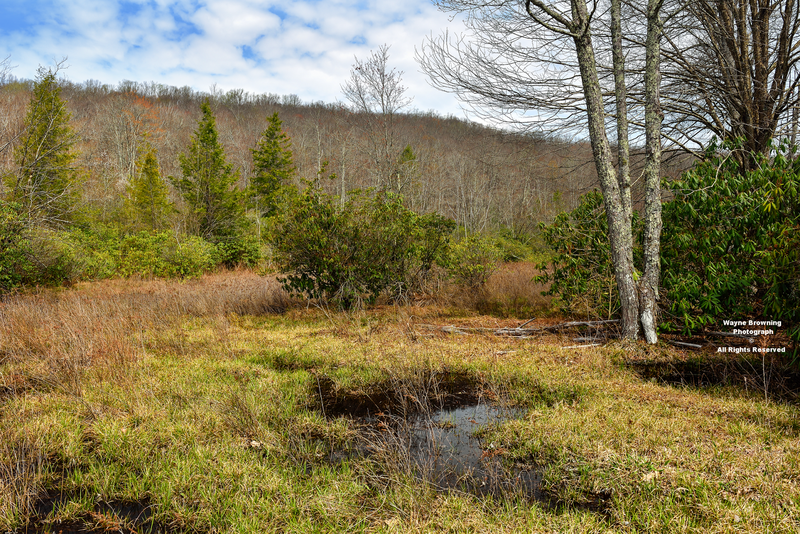 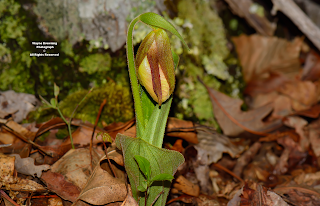 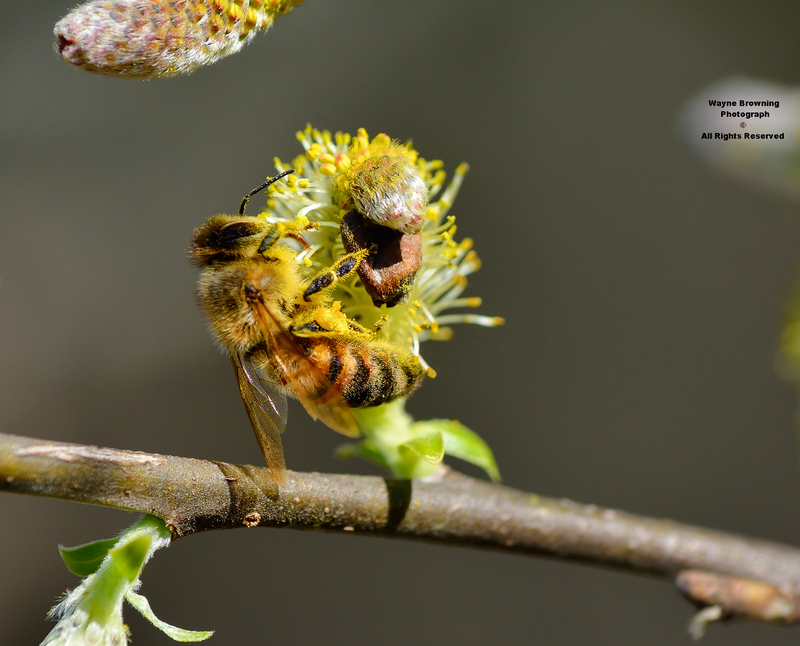 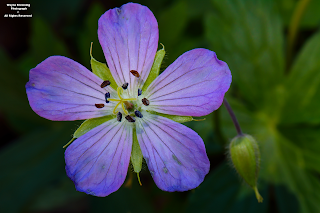 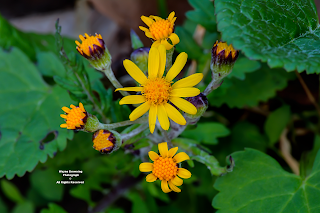 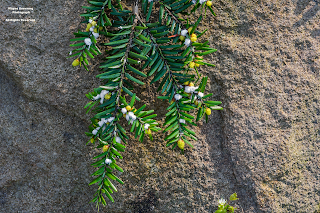 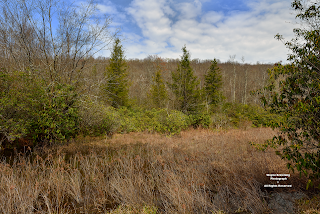 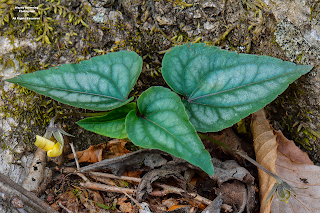 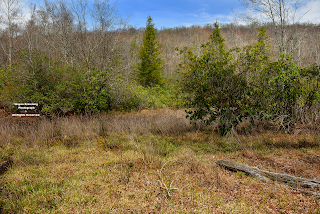 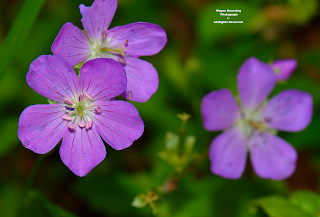 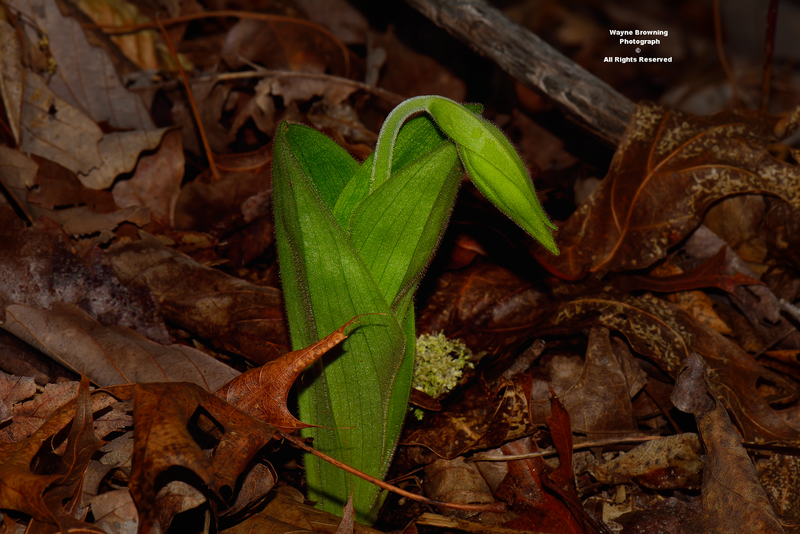 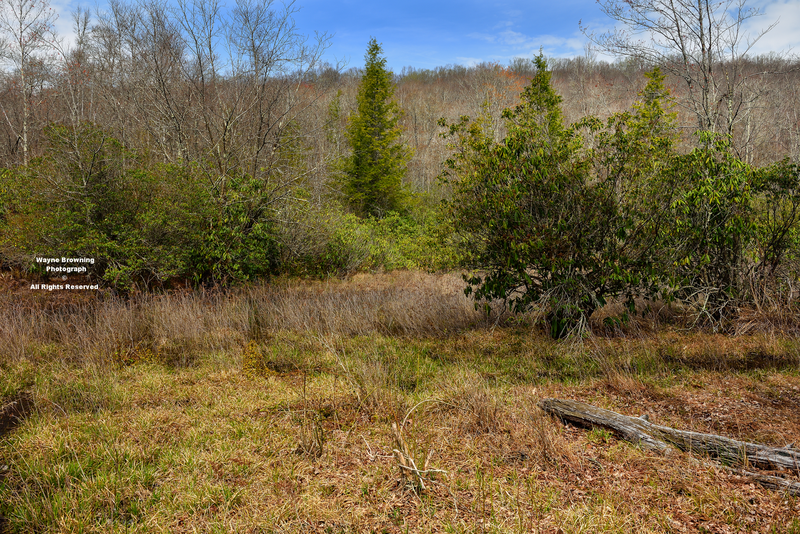 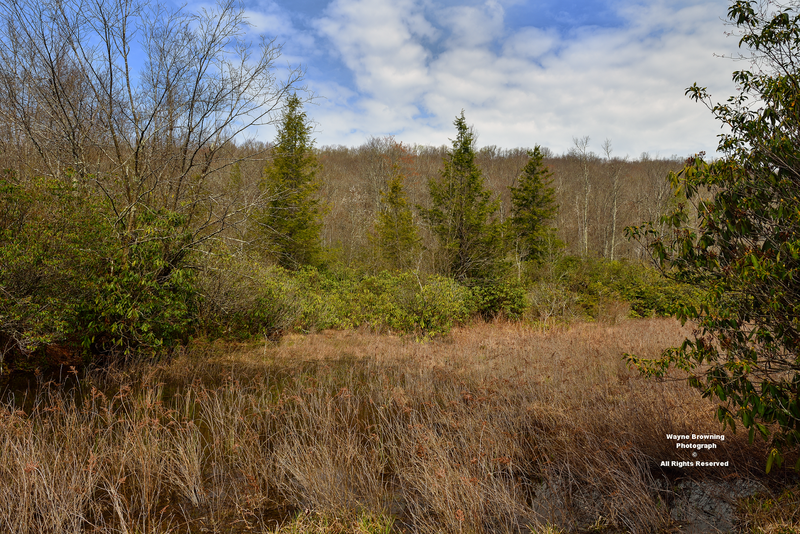 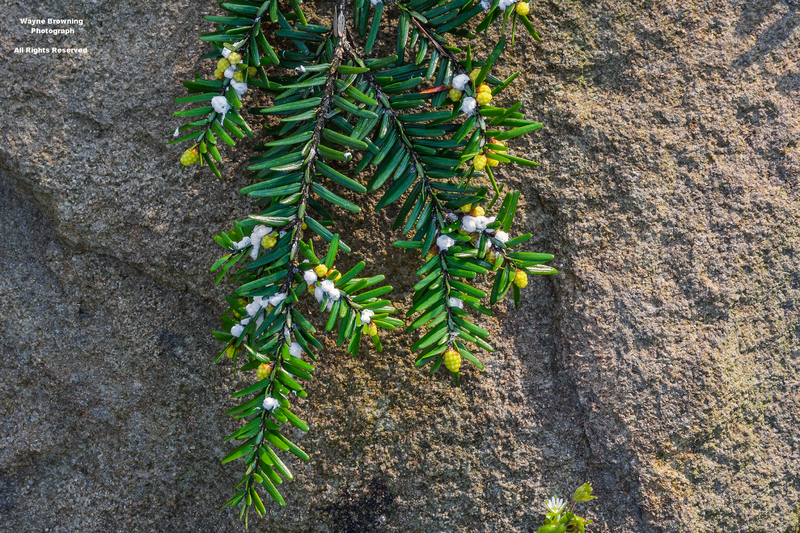 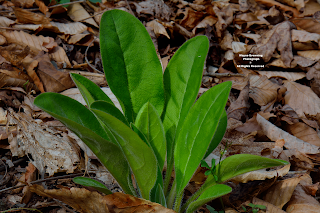 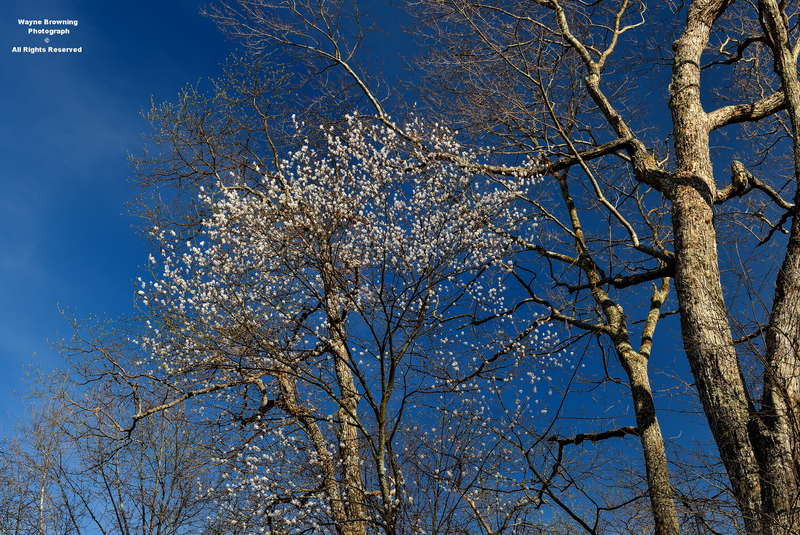 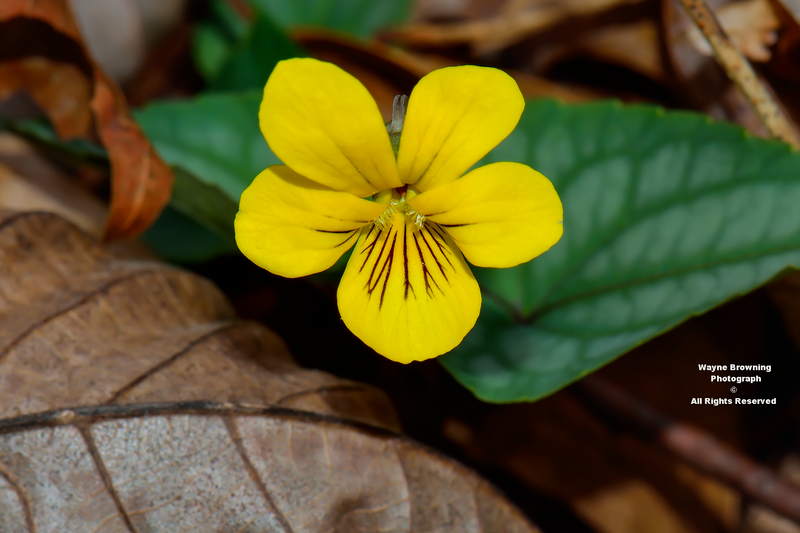 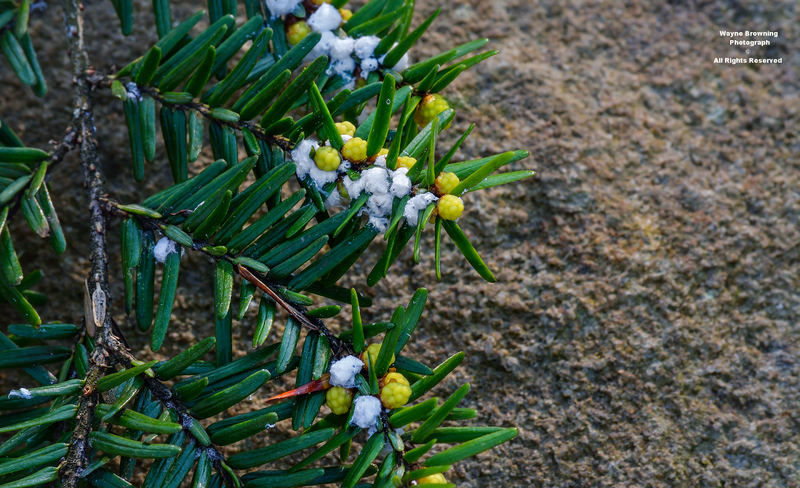 Spring growth above 3000 feet in the High Knob Massif remained limited in nature as of April 14, with budding maples and early spring species such as violets ( e.g., Halberd-leaved & Canada ) and Chickweed in bloom. 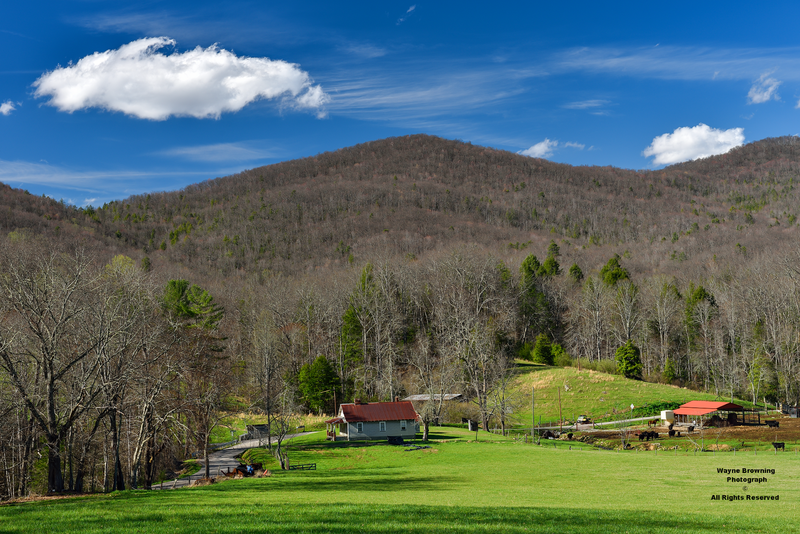 ( in the high country ). 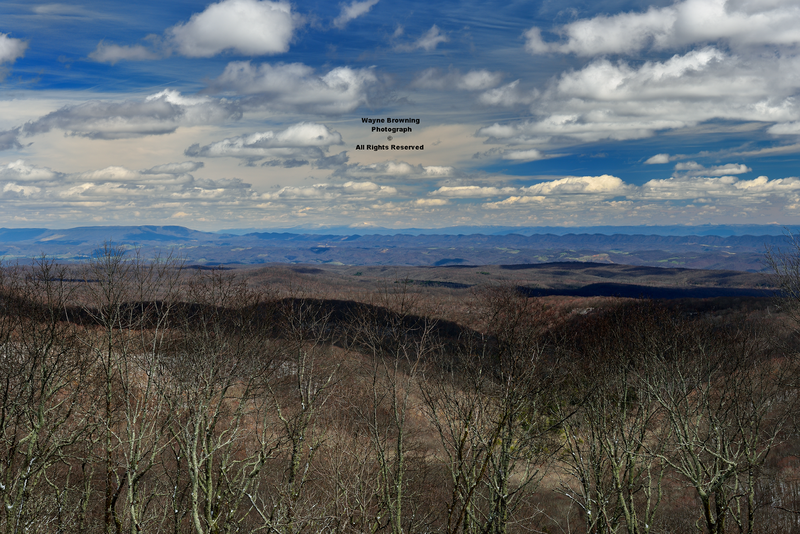 There truly is a huge difference in spring emergence between locations below 3000 feet and those resting above this level, except for cold air drainages which also remain mostly bare as they drain chilly air downward into middle and lower elevations from the high country. ( above 3000 feet ). 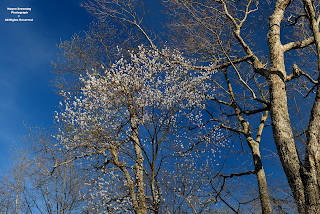 were also frosty cold into April 13 ). 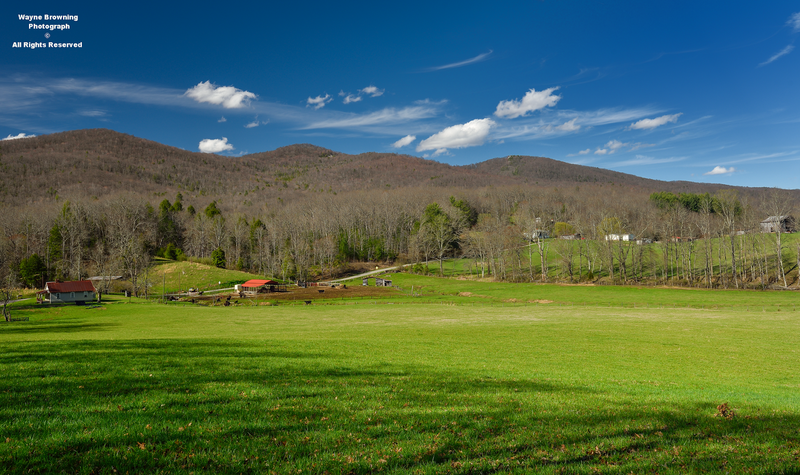 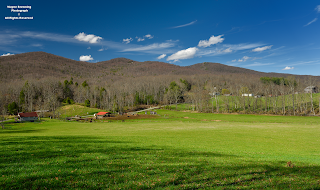 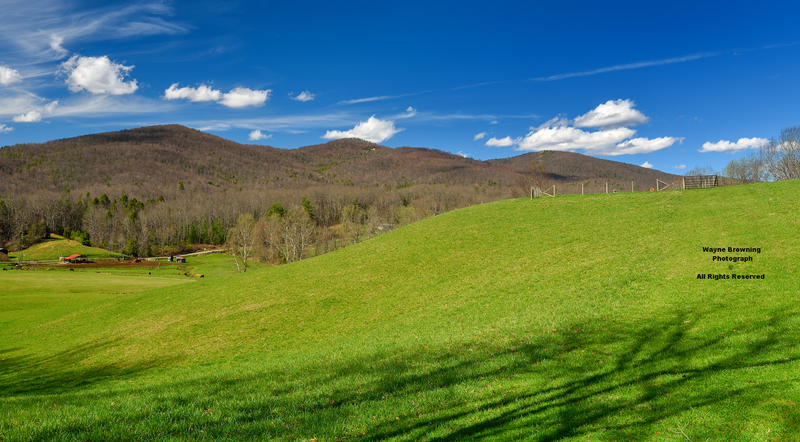 The valley floor here is higher than the Birch Knob of Pine Mountain, the highest point in Dickenson County ( at 3149 feet ) and one of the highest peaks along the 120 air mile length of Pine Mountain. 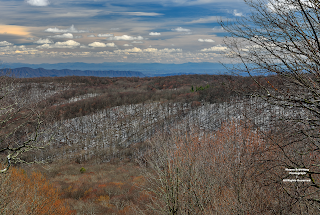 Despite being constantly water logged, this is one of numerous cold valleys amid upper elevations in the High Knob Massif. and Average Daily MIN: 35.6 degrees ). 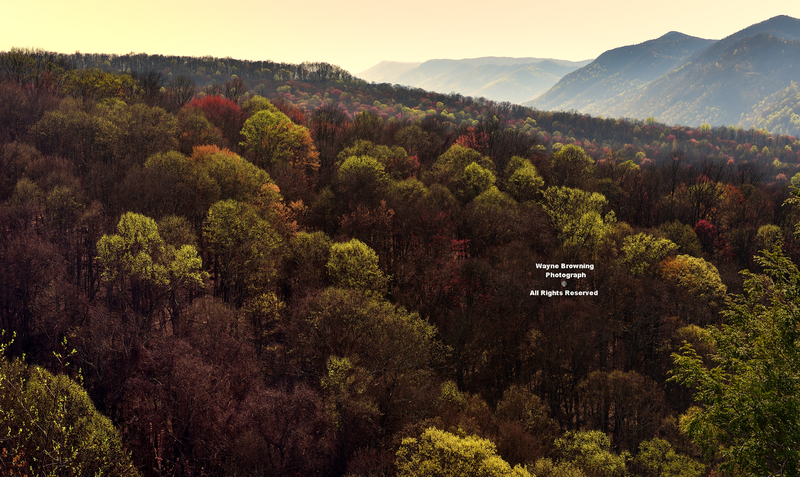 **Compared to the Kentucky foothills differences are even greater. 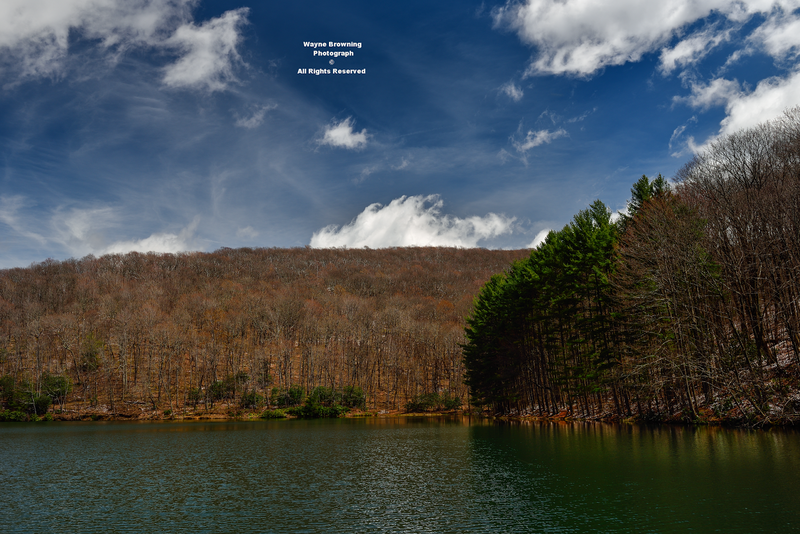 and Average Daily MIN: 38.0 degrees ). and Average Daily MIN: 43.1 degrees ). 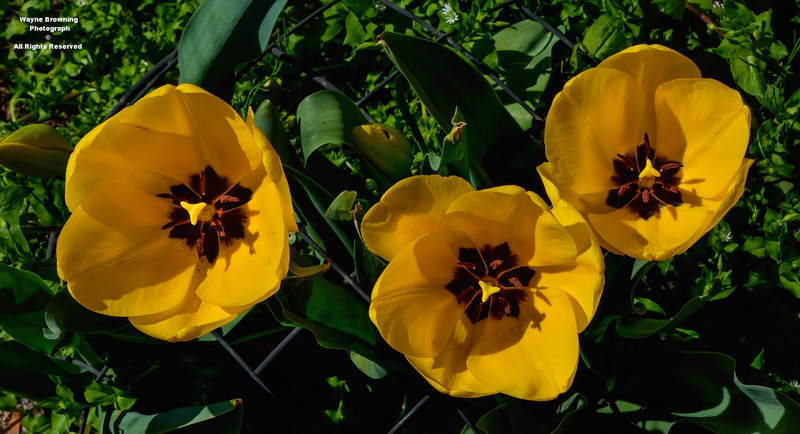 and Average Daily MIN: 50.4 degrees ). 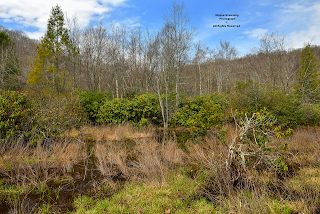 MEAN temperatures in this wetland valley have been averaging around 10 degrees colder than in the Tri-Cities, with the first half of April here being essentially identical to March in the TRI and at Jackson, Ky., ( JKL ) in the adjacent foothills. 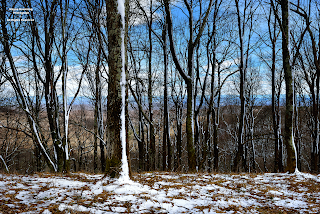 5.9 degrees Fahrenheit ( about 3.3 degrees Celsius ). So why is it nearly double that? It is due to a combination of orographics ( cooling with rising air ) and cold air drainage with pooling on the high valley floor. 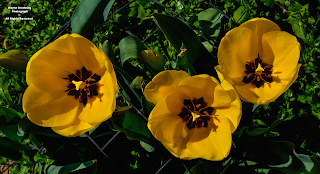 At any given time factors causing these differences are more complex than this generalization. 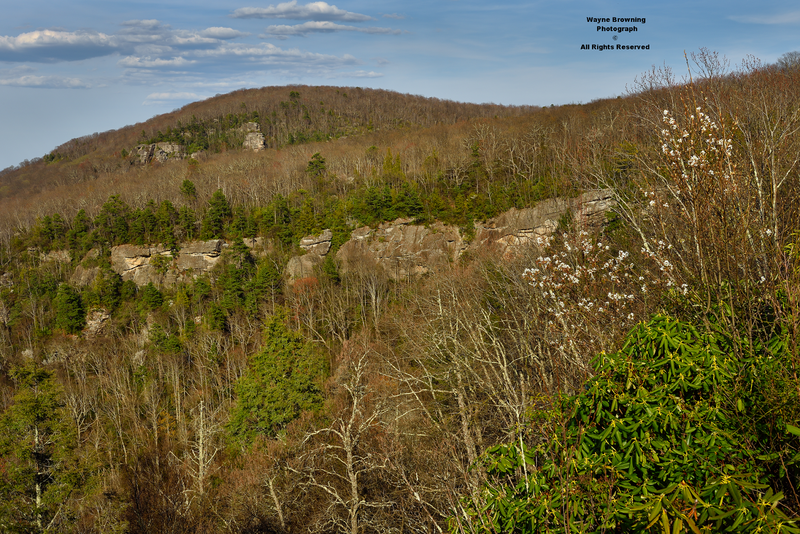 MAX temperatures on this high valley floor are generally milder than on adjacent high ridges in the massif, and occasionally significantly milder when air sinks over the lofty ridges into this valley.